The convenience of being independent without sacrificing luxury. 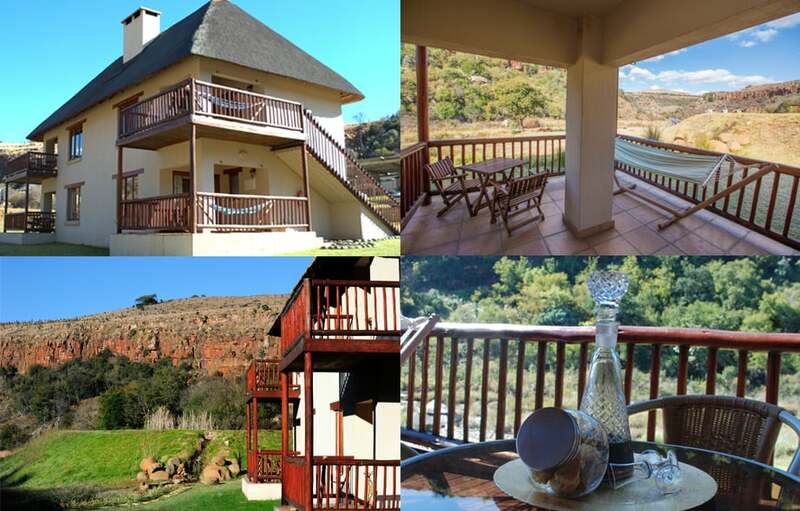 Komati Gorge is one of the best rated Mpumalanga Resorts. 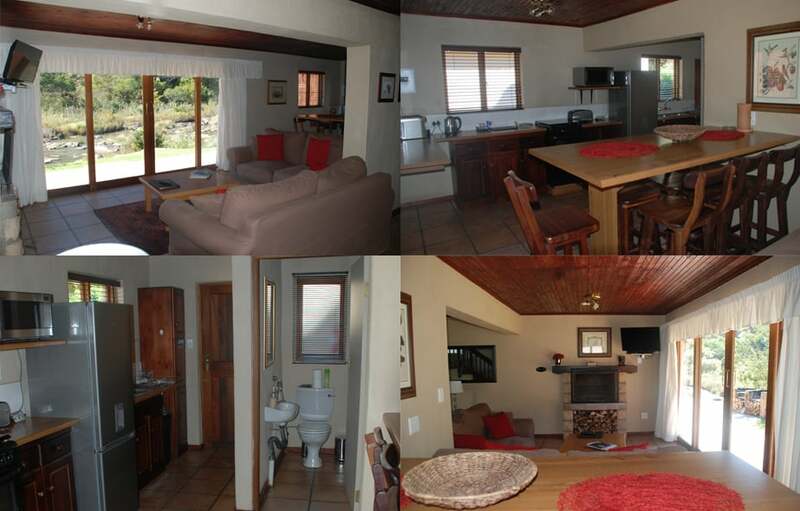 Lounge area with fireplace, small kitchen with dining area, huge bath and separate toilet, private verandah with braai, DSTV, electric blankets. 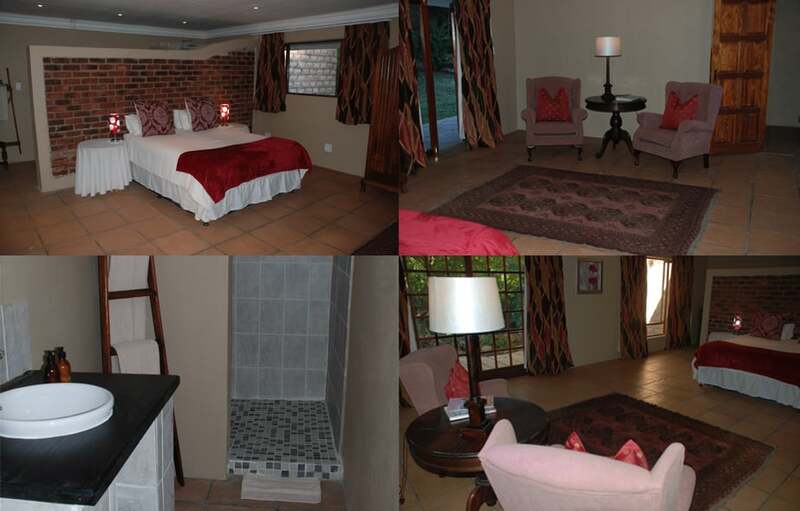 R1900 per unit per night. 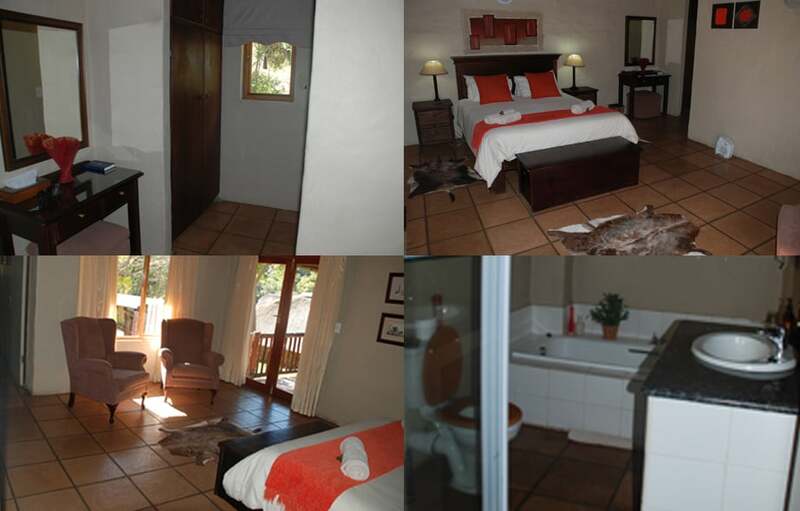 R1300.00 pppn inclusive of 3-course dinner as well as breakfast. 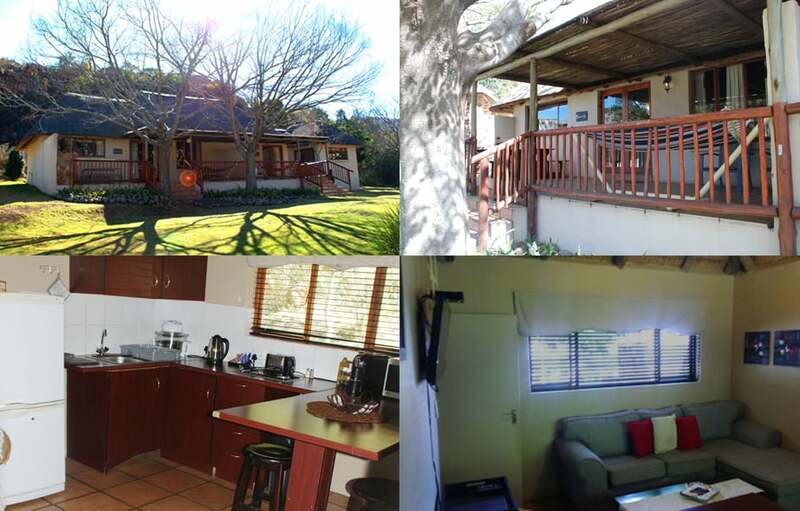 Lounge with fireplace and Bar, dining area, fully equipped kitchen, guest toilet, 4 bedrooms en suite, loft room for kids, private verandah with braai area, DSTV and this house is situated right on the river. 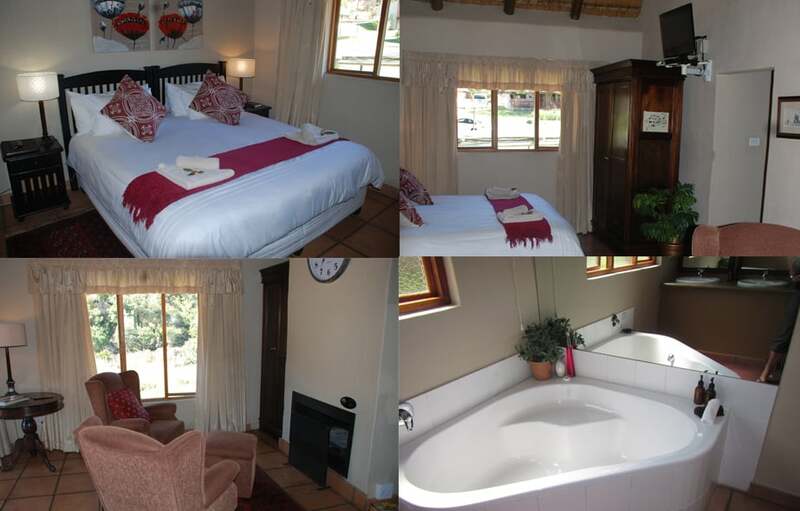 Sleeps 10 in 3 queen beds and 4 single beds. 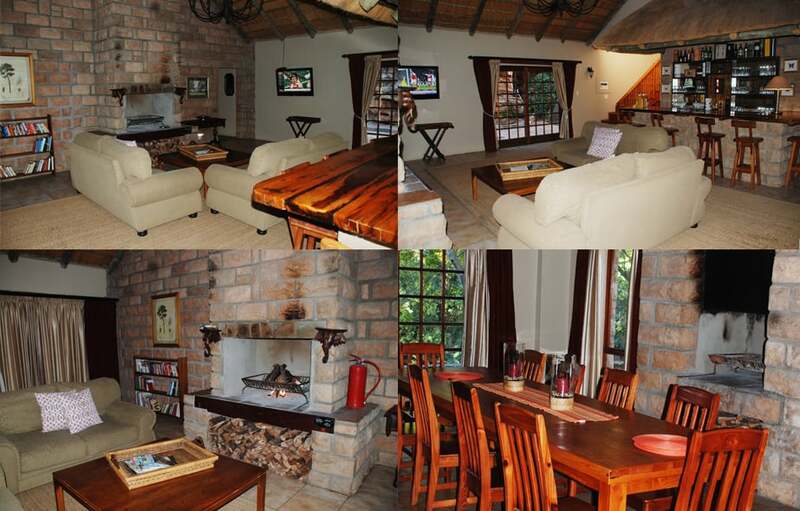 Komati Gorge Lodge is one of the few Mpumalanga Resorts that is situated on eco-estate with such luxurious accommodation. 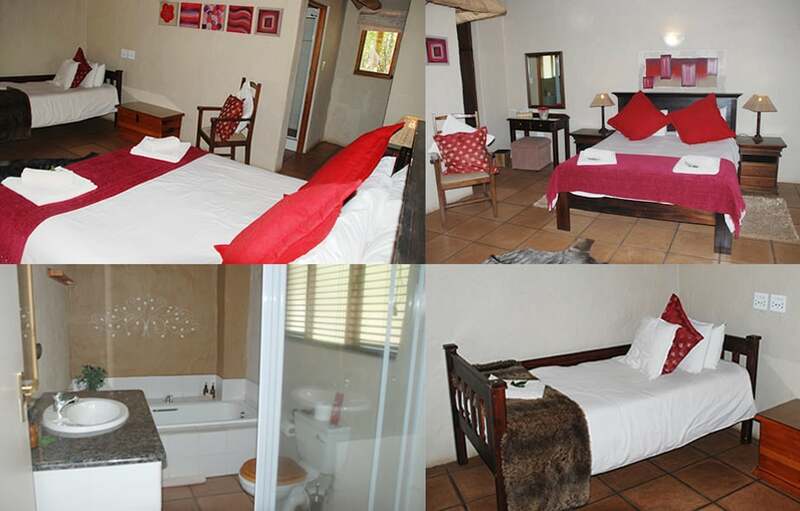 Our suites and cottages are equipped with amenities and commodities for our guests’ utmost comfort. 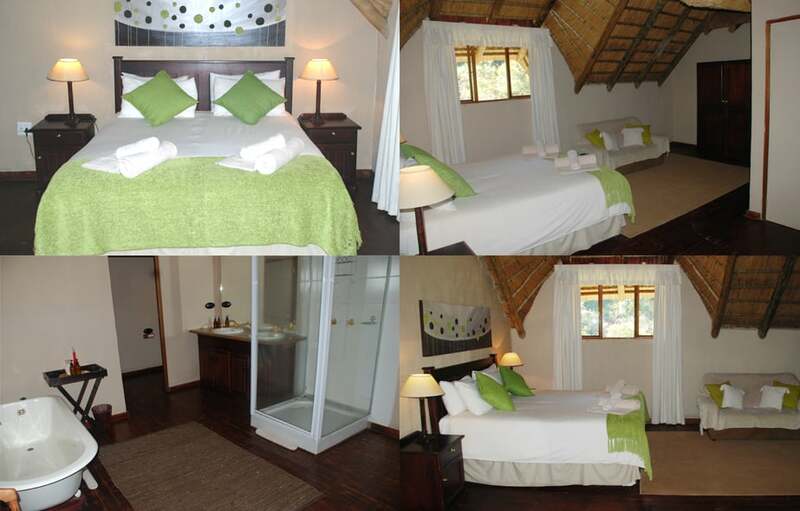 As far as Mpumalanga Resorts go, Komati 4 Star Lodge is quite competitive with rates and with the features we offer. 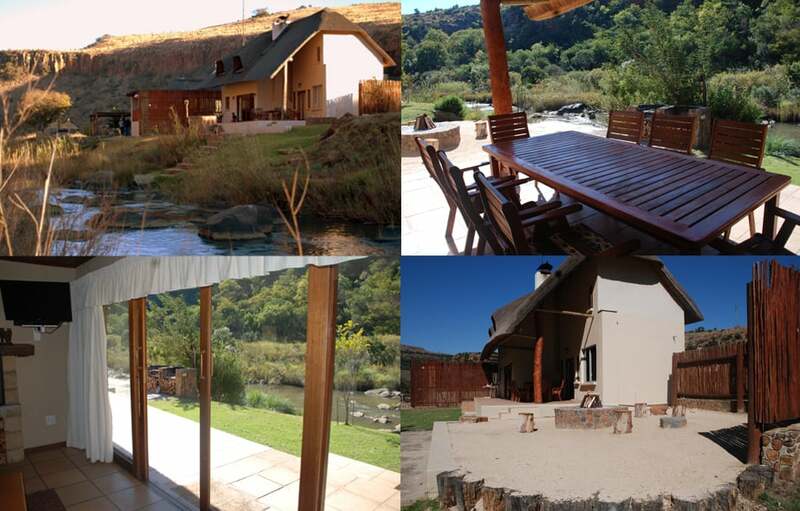 Most of our Accommodation has indoor fireplaces or floor heating for those chilly winter evenings and when summer comes round, our guests can cool down in our swimming pool or do some tubing down the river. 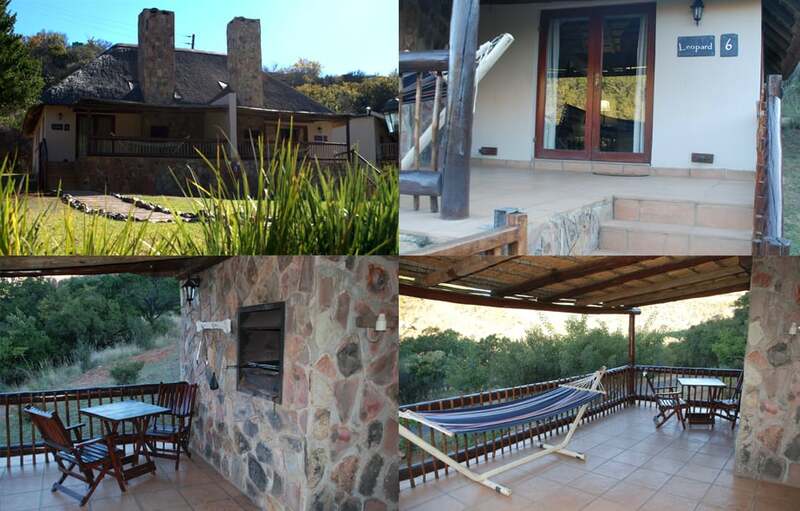 There are other activities on the water at our Komati 4 Star Lodge as well, like fishing, canoeing and white water rafting. 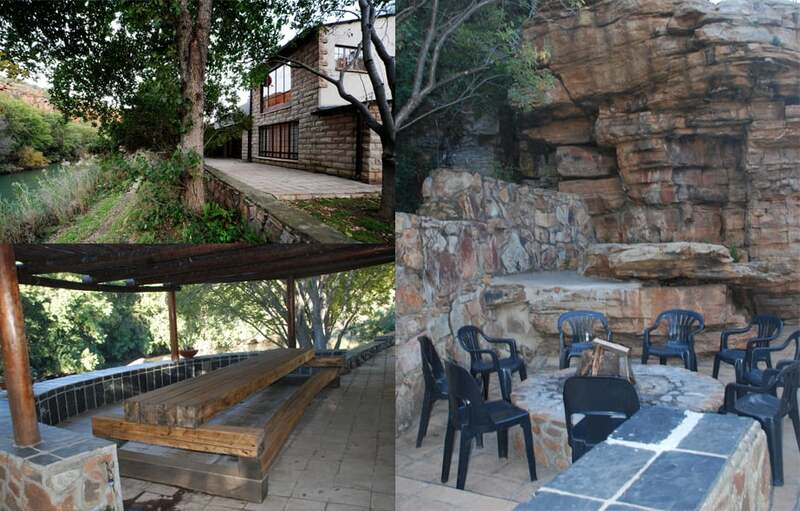 Other Mpumalanga resorts might have swimming pools or rivers, but not both. 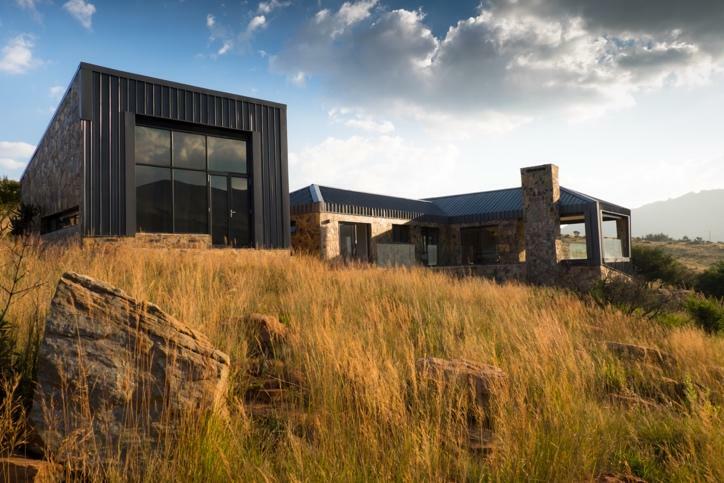 Situated in a sheltered canyon near Carolina, surrounded by the peaceful scenery, there’s much to discover on our reserve. 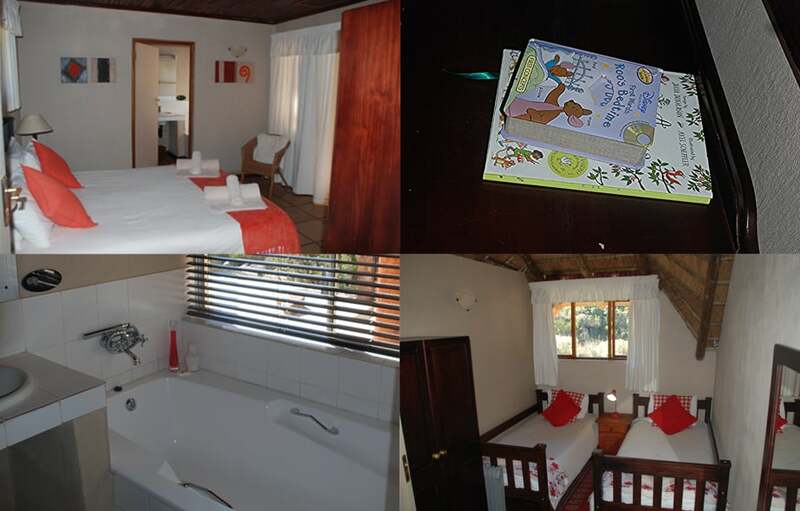 We can provide our guests with just about anything you will find at other Mpumalanga Resorts and more. 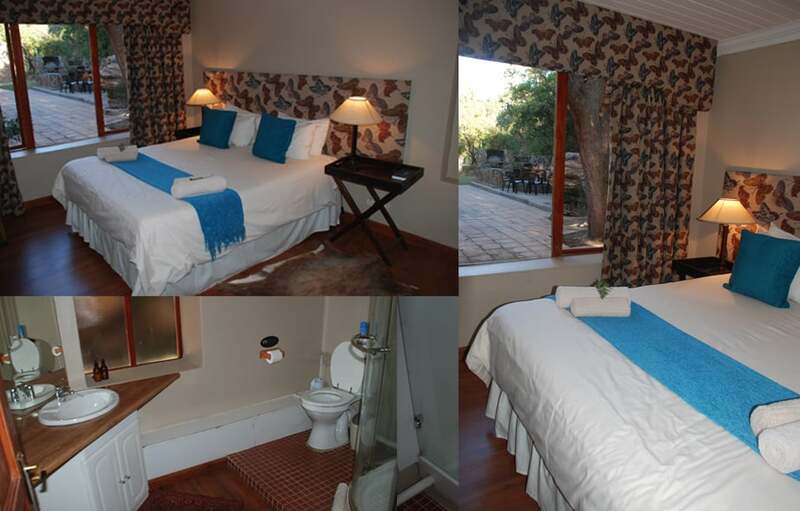 Small helpful appliances like hair dryers can be requested at reception and even though we don’t have room service, we at Komati 4 Star Lodge will do our very best to tend to your needs as far as possible. 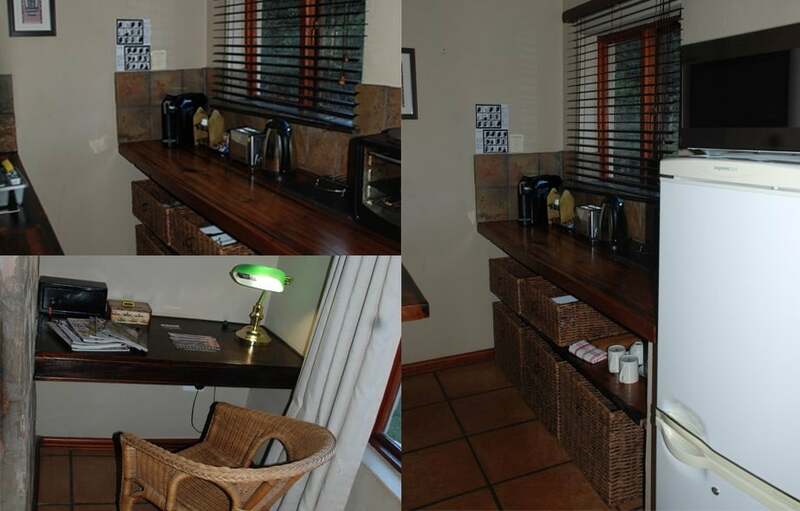 Smoking is prohibited in all our suites, cottages and rooms, but ashtrays are supplied outside for your convenience. We urge you not to smoke while hiking either, as veld fires are common and extremely destructive in these areas. Just as all Mpumalanga Resorts with fireplaces and braai areas, we urgently request that fires be lit with caution and watched at all times. 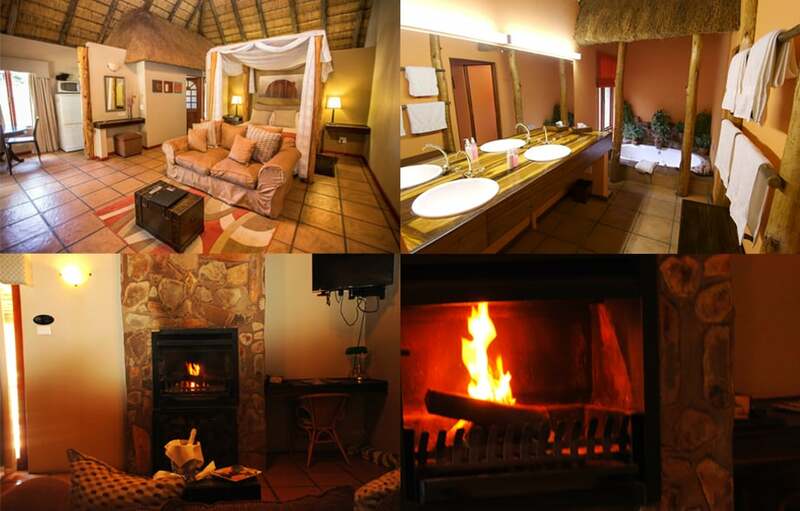 All our rooms, cottages and suites at Komati 4 Star Lodge has thatch roofs and once they catch fire, little can be done to put it out. The restaurant is open to all guests for meals. It is helpful if you book in advance. 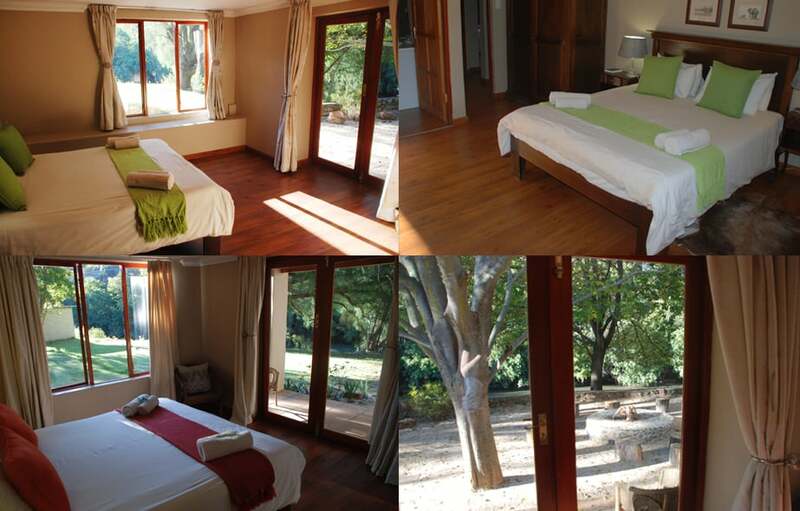 Please be advised that we take a minimum of 2-night bookings over normal weekends. 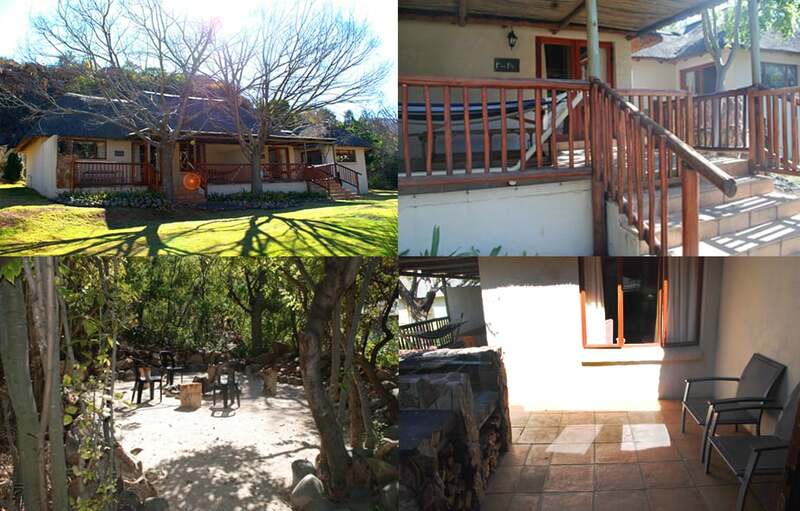 Over long weekends, a minimum of 3 nights are required and all bookings must be confirmed via e-mail or fax. Special rates available for weddings, conferences and large group parties. 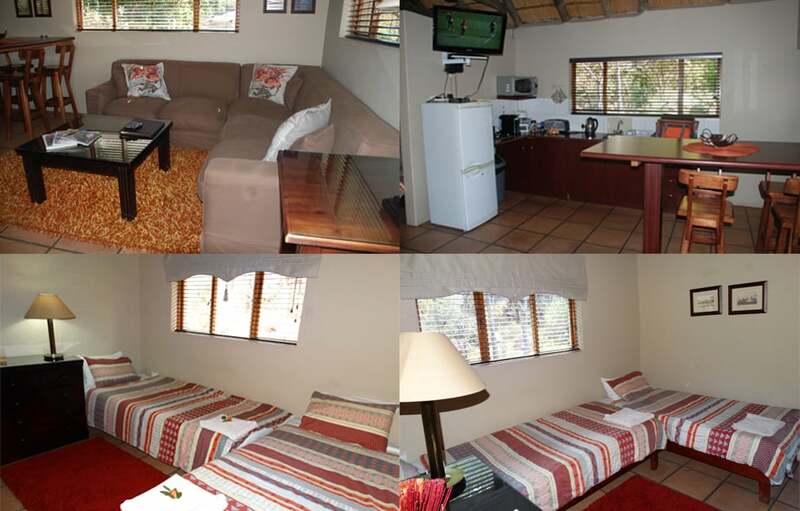 electric blankets and heaters, a fridge, DSTV and private patio with a hammock. 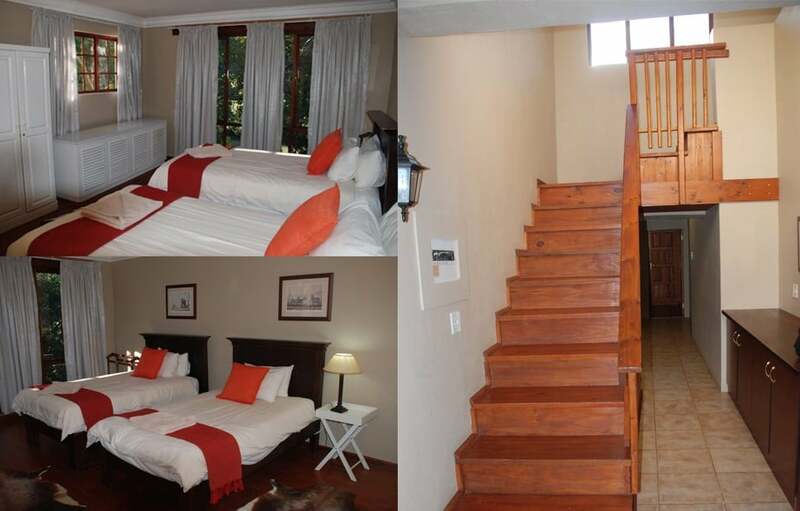 The River Lodge Suites have all got heaters, but River Room 2-4 also have fireplaces. 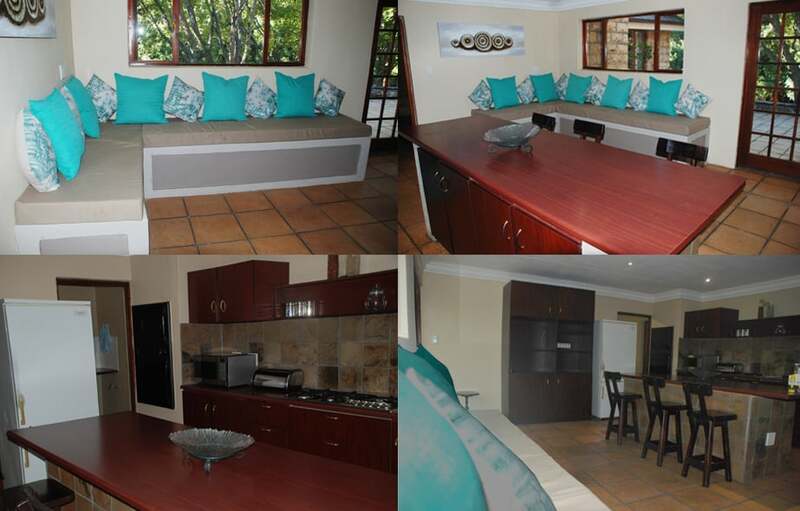 Breakfast is served in the small dining room from 8h30am to 10h30 am. Light meals are available from 12h00 am until 14h00 pm in the pub/restaurant. Dinner is at any time after 18h30, but the kitchen closes at 20h30. 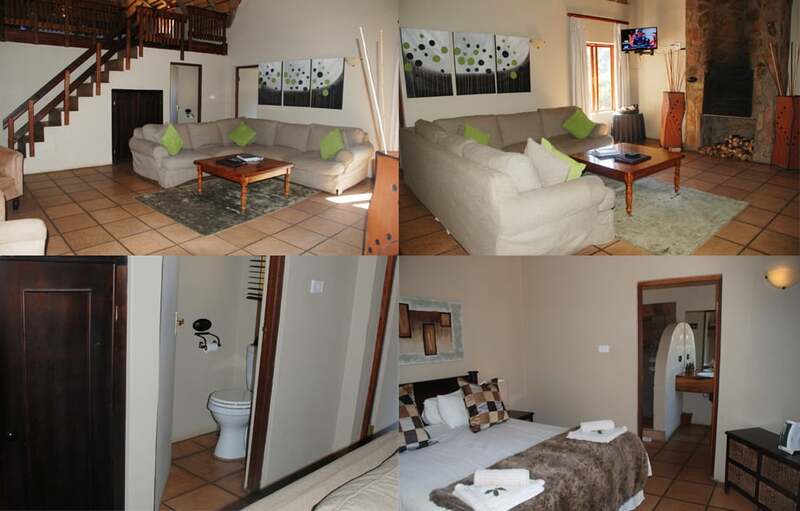 There’s nothing dull about Dullstroom. 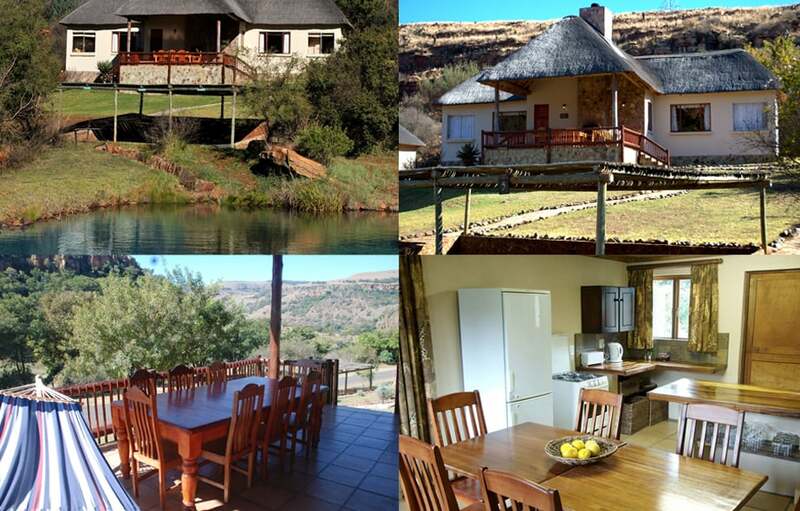 It’s the perfect breakaway destination for a weekend and there are loads of things to do in Dullstroom… eating, shopping, fishing, hiking, relaxing etc not to mention the great accommodation near Dullstroom. Date to commence building is not prescribed but once the building starts, it must be completed within 12 months. 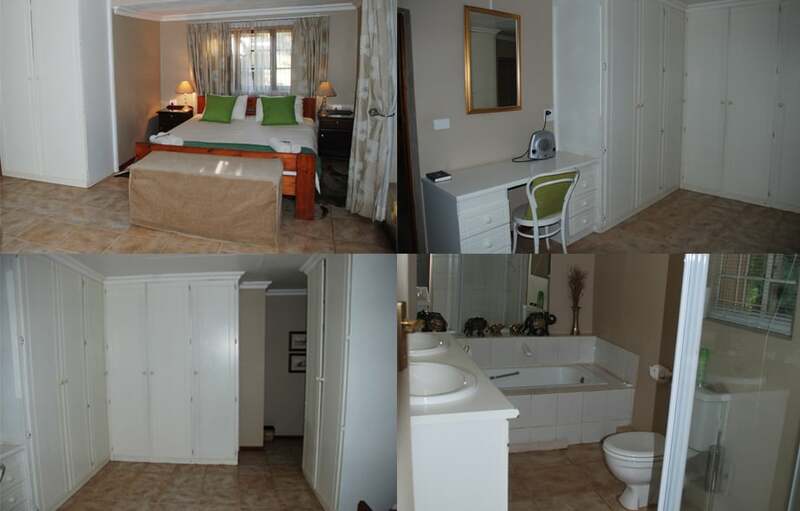 The house may not exceed 375 square meters or have more than 4 bedrooms. 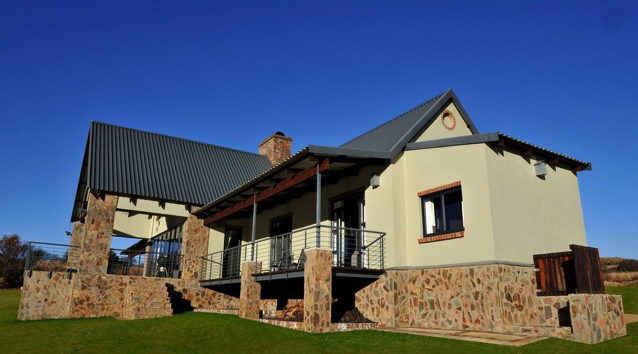 Houses are required to conform to specific architectural requirements as laid down by the Architectural Review Committee which is appointed by the Landowners Association of Komati 4 Star Lodge. Repair, upkeep, control, management, and administration of the common property and the development, including all staff costs. Maintenance of roads, dams, bridges, and fences. Financial management of the development, the collection of levies, bookkeeping, and auditing. 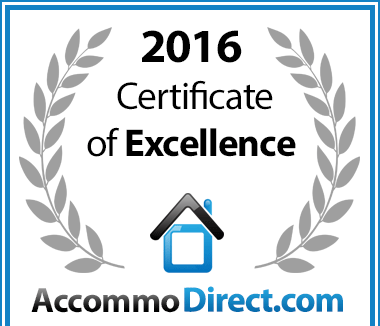 In recognition of exceptional service Komati gorge lodge in Machadodorp, Mpumalanga is hereby awarded a Certificate of Excellence.